This is a little bit different post for me. I typically talk about, well, cows. That’s not a bad thing, but I thought I would share with you all how I make tomato juice and my favorite recipe to use with it! With tomatoes being close to being ripe (at least in Iowa) I thought I would share my ‘how-to’ before they’re ready so you can plan accordingly. There isn’t a lot of work put into making tomato juice and I would say I do it the old fashioned way — but I believe it’s the best way to get the best flavor. 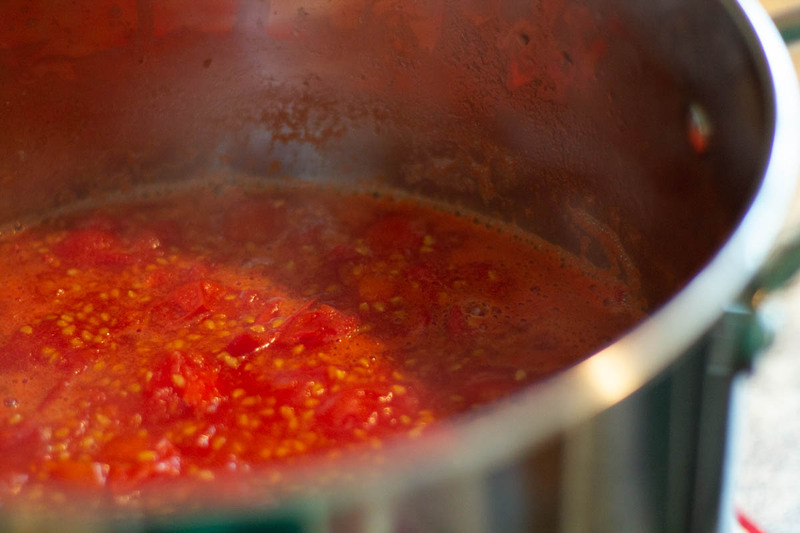 Put all the tomatoes in your large stock pot, but don’t fill your pot up the rim — you may not fit them all in, depending on how many tomatoes you have. (This is okay, you can do a second batch!) You are going to need to constantly be stirring the tomatoes so you don’t want them overflowing or having too many in there to stir. 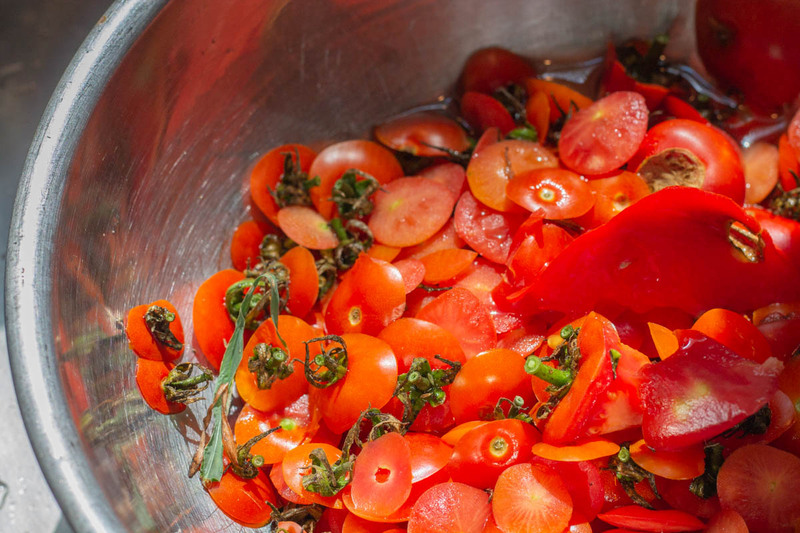 You’re going to let the tomatoes cook down for a quite a bit. 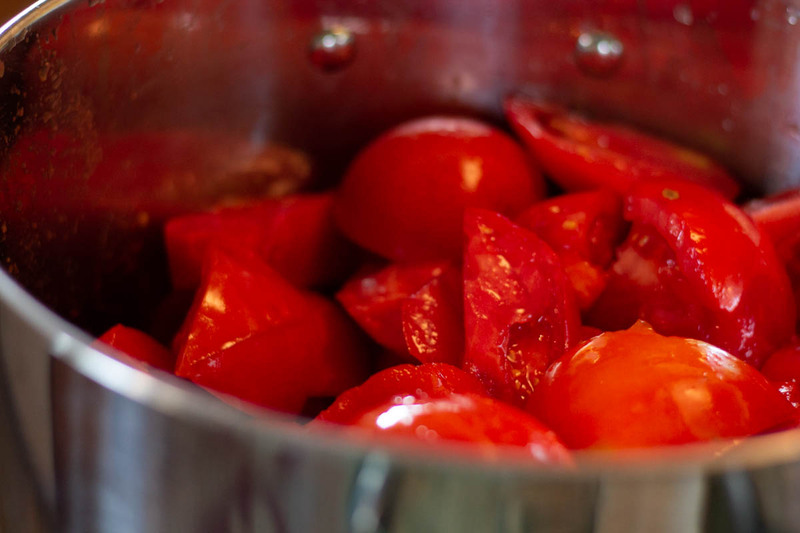 Make sure to keep stirring them every few minutes so that the tomatoes don’t burn to the bottom of your pot. You will know they are done when; A.) When you stir you don’t feel any large chunks of tomatoes B.) It has cooked down in the pot quite a bit C.) When you stir it, it stirs like a soup and not like a stew. Now is the fun part! 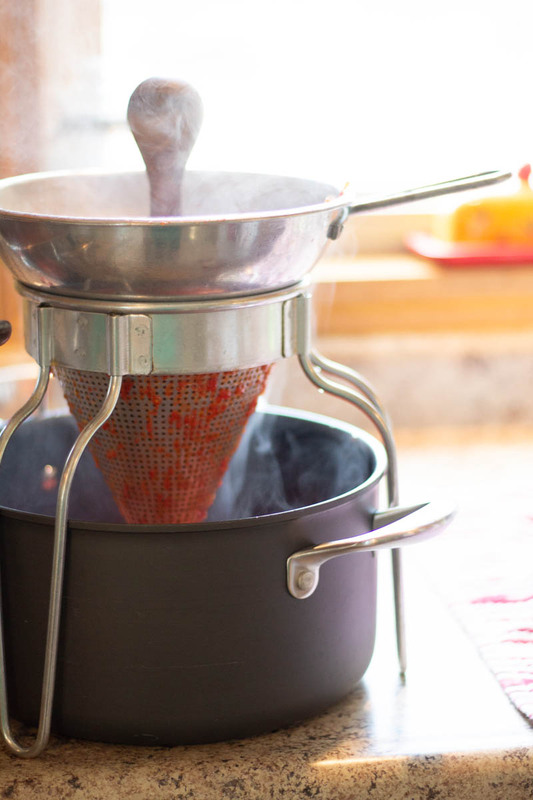 You’re going to take your colander strainer and put it over another large pot. Pour your cooked down tomatoes into the colander and start smashing. Push everything possible through. 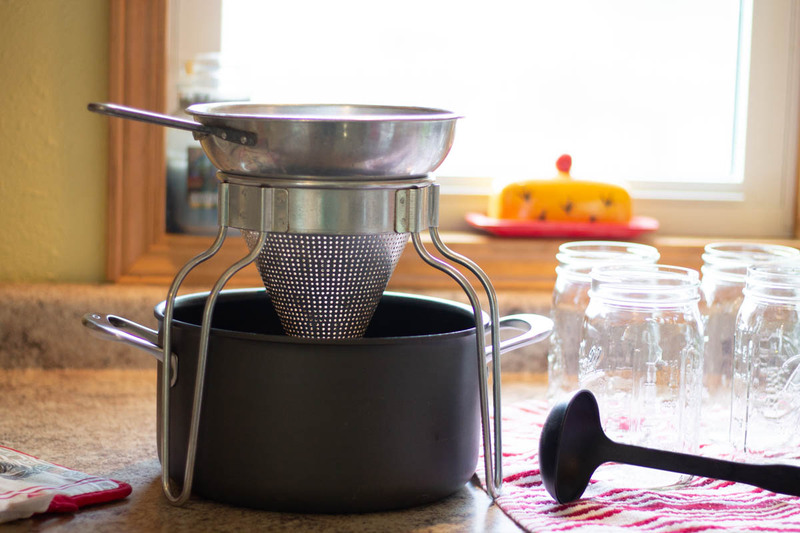 The colander keeps the seeds and skins from going into your juice. By using your pestle to smash the liquid you’re smashing out any possible juice from the skins. You may need to dump out the colander before you add more because it may be quite full of seeds and skins. Once you’re done smashing everything through the colander you’re going to take a ladle or measuring cup and pour the juice into your jars. (This is where the funnel comes in. Put the funnel on each jar to keep things from getting messy.) Don’t fill your jars all the way to the job. Keep the juice about an inch or half inch from the top. Now to seal the jars. 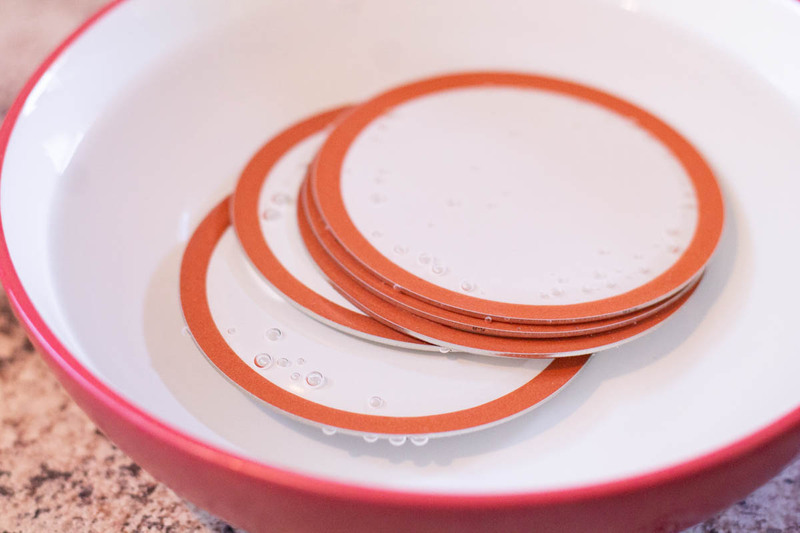 Put your lids in a bowl with warm water. 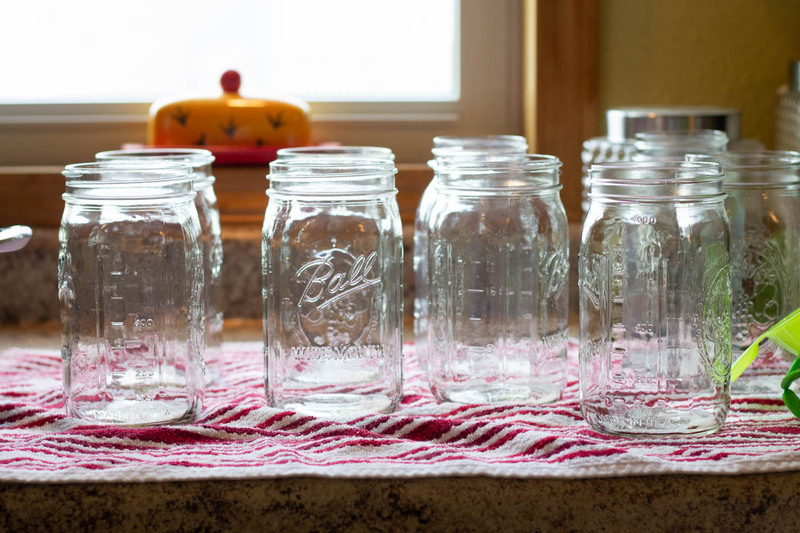 It loosens up the rubber and helps them to seal to the jars better. (I typically put them in the warm water before I start putting the tomato juice into the jars to give it plenty of time to warm up.) Next, you’re going to wipe the outside, rim, and inside the rim of the mason jar. This gets all the juice that may have splattered or spilled and helps get a great seal. Screw your lid on — doesn’t have to be on there with Hulk strength — and get ready to water-bath. This part is crucial to getting your tomato juice to seal and keep. Fill your pot with water (about half full) and turn that heat on. I let it warm up for a few minutes and then stick my jars in the water. The water needs to come to a rolling boil and then you start your timer for 15 minutes. — Not 15 minutes from when you put the jars in the water, 15 minutes from when the water is at a rolling boil. Once your timer goes off you can pull your jars out! Use your jar lifter to pull them out and set them on a towel. The jars are very, very warm so the towel protects your counter/table. Ping! Ping! Ping!! — This is what comes next. 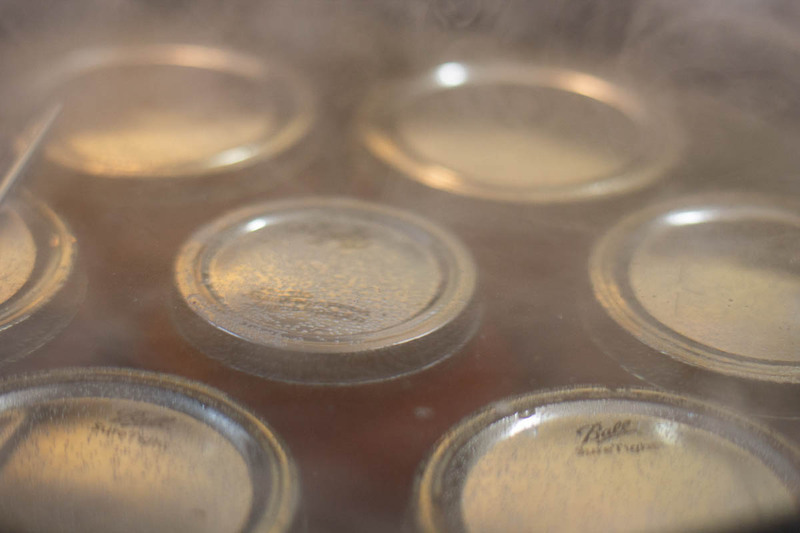 As your jars cool you will know if they sealed by the sounds of ‘pinging’. This doesn’t mean you need to sit and listen for each ping to know if it sealed correctly. Leave your jars out for a day because some take longer to seal than others. You will hear some ping right away and then some 8 hours later. If you didn’t hear them, no worries! Once they are cooled you can press on the middle of the lid. If the jar is sealed correctly you will not be able to push down. If you can push down put your tomato juice in the fridge and try to use it as soon as possible. That’s it!! You have tomato juice ready for the winter!!!! 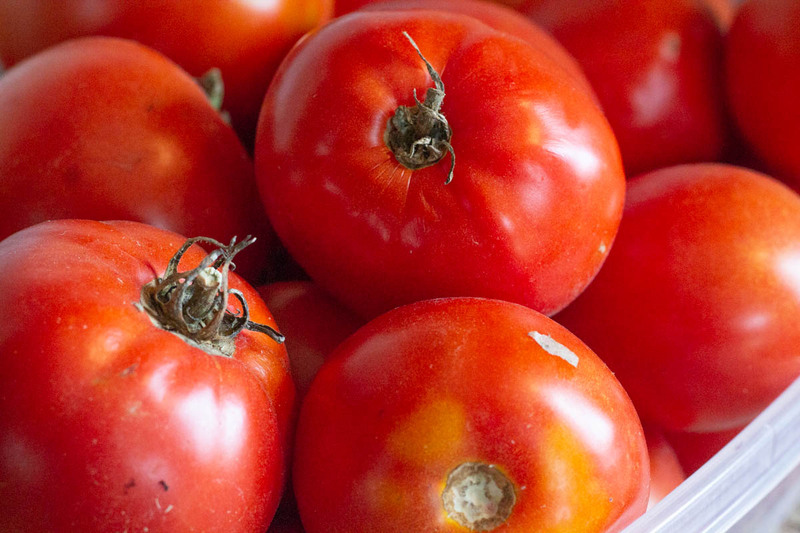 Here’s my favorite recipe to use with Tomato Juice (and of course beef)! Combine all ingredients and cook on low for a couple hours to really get the flavor to soak in the potatoes to become soft. Even better when you eat it the next day and let all those spices soak in! Ahhh, this post brings back fond memories. My Aunt Pat did the tomato juice–and V8! A lot of work but fun. And that chili recipe looks pretty good. I’ve never seen a chili with potatoes added. Once it cools down a bit around here I will try it. Thanks for posting and hope the hens enjoyed the cuttings. It’s so good — if you like chili on your baked potato you will love it! 🙂 Thanks for stopping by Terri!